In this article, you'll learn how to connect Subscribe to your Mailchimp account, and how to create a form. Subscribe is supported on tablets with screens seven inches or larger, and may not be supported on older iPads. It's also available for Android tablets. 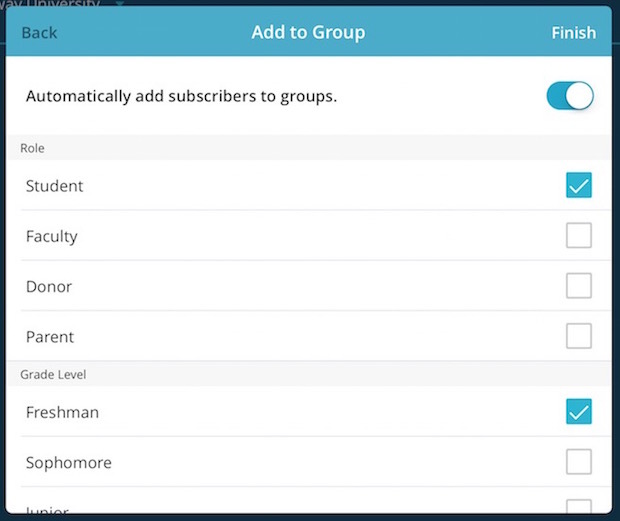 You'll have the option to add subscribers to existing groups in your Mailchimp list when you create your form. These settings can't be edited once your form is created. Subscribe works even when you don't have an internet connection. The next time you connect to a WiFi network, sync the addresses you collected while you were offline. 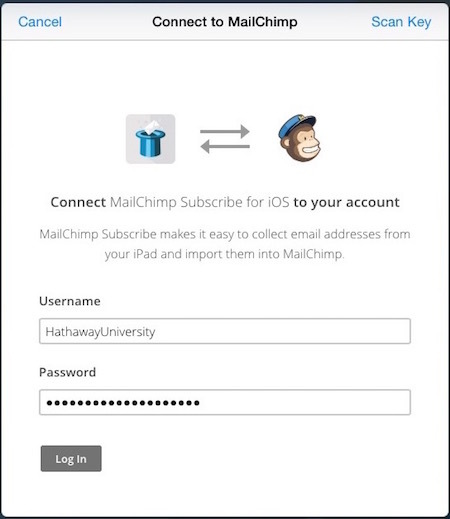 If you've downloaded Mailchimp Subscribe for the first time, you need to connect your app to your Mailchimp account. To connect your account, follow these steps. Launch Subscribe on your tablet and tap Get Started. Swipe through the tutorial, and tap Connect to Mailchimp. If you have more than one account associated with your login, check the boxes for each account you want to use with Subscribe, then tap Add Accounts To App. In the pop-up modal, tap the list you want to create a form for. If you already have groups set up in your list, you can toggle the slider to blue in the Add to Group pop-up modal, and use the checkboxes to automatically add subscribers to the groups you choose. Learn more about the Add to Group option. When you're done, you'll be returned to the main Forms List. Tap the name of your form to open it in Live mode and start adding subscribers to your list, or customize the look of your form before you use it. If you have groups set up in your list, you'll have the option to automatically add collected subscribers to groups. These groups will be hidden from your subscribers, but can be used to build segments in your Mailchimp account. Use the Add to Group option to keep track of which subscribers you collected at a particular time or event. To do this, create a group in your Mailchimp list, and choose to automatically add the contacts you collect with Subscribe to your group. For example, if you're going to collect subscribers at an art festival, you could create a group called "Art Festival Subscribers." 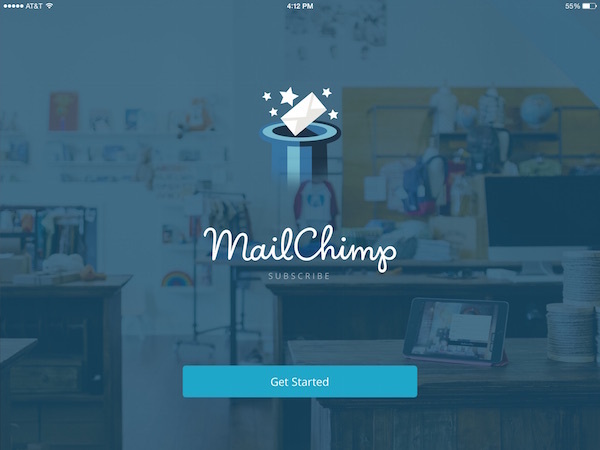 Design custom signup forms in Mailchimp Subscribe for iPad. Set your fonts, colors, and background right in our mobile app.